DVD-lab is a new DVD authoring tool which combines a modern professional interface with easy to use approach and it gives the user freedom to create what they want. DVD-lab is a new DVD authoring tool which combines a modern professional interface with easy to use approach and it gives the user freedom to create what they want.DVDlab is build on very strong Developer Studio-like model This has a very good reason. Unlike any other DVD authoring tool of this kind you can actually totally reorganize the interface to suit your needs. 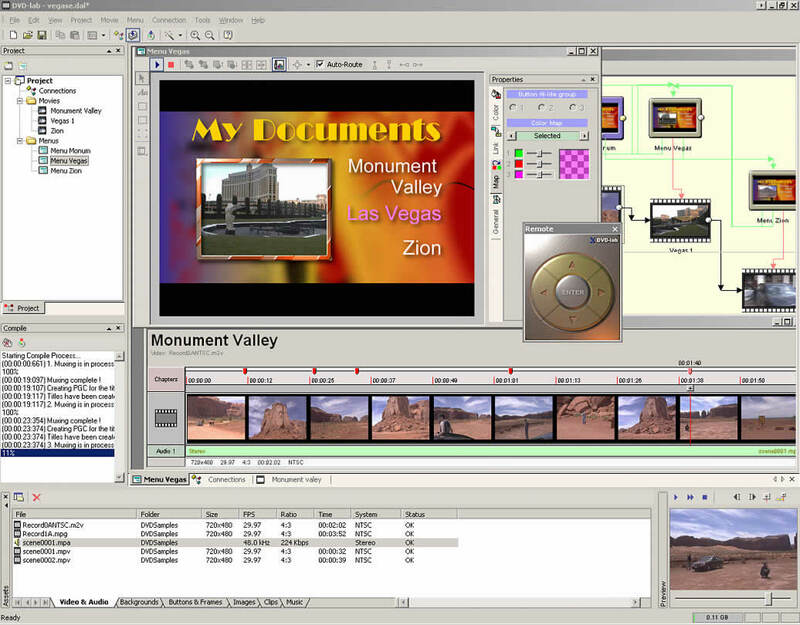 DVD-lab was our very first "entry" level authoring tool. However, our "entry" means something different. A solid interface and a great flexibility that gained quite following on the web boards and earned us many great reviews in magazines. Two years after introduction of DVD-lab we are pushing the home authoring to the next step again. Studio version fits into the requirement for mid-size DVD authoring tool that takes the no-nonsence approach of Standard version but offers some of the more advanced features from our PRO version. This is our flag-ship version. A fully mature DVD authoring tool that offers all the features of most expensive authoring application together with easy to use and ergonomic user interface. This is first time such a full featured authoring application is offered in a price range accessible for normal people.